The Hip Hop Kung Fu Connection events we did at the Freer a couple of weeks ago inspired me to dig a little deeper into hip hop history, so I picked up a copy of Jeff Chang’s Can’t Stop Won’t Stop: A History of the Hip Hop Generation. 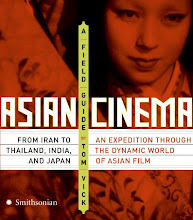 Chang’s subject is not just the music, but the social and political contexts from which it sprang. This may sound dry, but the result is a compelling, even angry book that recounts in impressive detail hip hop’s rise from underground Bronx party music to global cultural, economic and political force. 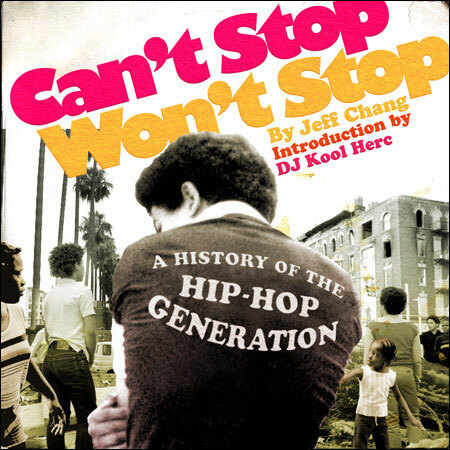 What Chang brilliantly emphasizes is that hip hop’s history is inextricably intertwined with the larger, much more depressing story of race relations, particularly in New York and Los Angeles, in the 80s and 90s – a series of firestorms that sparked changes in the music, radicalized its practitioners, and finally exploded in the LA riots of 1992. If, to many, groups like Public Enemy and NWA were scary abstractions, symbols of the dangerous urban youth prowling the streets and in need of suppression, Chang goes to great lengths to the complex set of circumstances that formed their aesthetics, and how the media and political figures cynically reduced them to stereotypes in order to further oppressive and racist policies like James Q. Wilson’s odious “broken windows” theory and the LAPD’s military occupation mindset under its chief, Darryl Gates, in the 80s and 90s, the cumulative effect of which was to essentially criminalize the very condition of being black, young and poor. Chang’s account tails off just at the beginning of hip hop morphing into a multi-billion dollar global industry. It’s hard to remember now, when rappers like Jay-Z and Kanye West function more like CEO’s (of self-perpetuating corporations that sell boasts about their own financial success) than political firebrands. It took Public Enemy’s still fervent Chuck D to take them down a peg or two for making an album celebrating their incredible wealth at a time when many people (of all races) are suffering in this tanking economy. A longtime hip hop journalist, Chang is equally adept at slinging slang, summoning up left-wing fervor at injustice, and methodically documenting every step along the way. As people said at the time it came out, it’s the serious history hip hop music deserves.